8.1 The continuing education of the Educator concerning environmental education for the preservation of the Japiim Lagoon and biodiversity from the formal spaces. The Urban environmental Policy provides reflections for the study of aquatic and terrestrial ecosystems regarding the preservation of natural resources in different nationalities. The analysis of the hydrological cycle contributes to the study of the Biotype and Biocenosis group. Several Podocnemis unifilis were observed through habitat and ecological niche of the trophic chain. The sample of this research is inserted in the city of Manaus in the state of Amazonas. The object of study is the biogeochemical cycles for understanding the originality of ecosystems. How did the composition of the aquatic ecosystem of the Japiim lagoon occur? It is perceived the rich biodiversity in the Amazon, but after identifying some solid residues in its surroundings, the research proposes interventions to Manaus Ambiental for the application of the Experimental method in order to contribute to the axiomatic method, whose objective General is to analyze the water quality of Lagoa do japiim through technological resources and chemical products. Keywords: ecosystem, Lagoa, Manaus, water. The aquatic ecosystem throughout mankind’s evolution awakens attention to investigating the originality of the word ecology terminology in different centuries. It is perceived the pollution and contamination of natural resources in several nationalities, so there is a need to differentiate the types of ecosystems. In the analysis of the trophic chain, several themes such as habitat and ecological niche, directs to the observation of various Podocnemis unifilis (Tracajá) in the aquatic ecosystem. Analyzing the biogeochemical cycles is one of the purposes of this research. Some theoreticians include: Ab ‘ Saber (2008), Braga (2002), Farias (2010), Freitas (2018), NÓVOA (2018) and Tardif (2018). The city of Manaus was selected for the study of the aquatic ecosystem. The concern in analyzing the terminology of the word ecology and its originalities related to the ecosystems of Brazil contributes to the continuing education. Ab ‘ Saber (2008, p. 18), informs that[…] “in 1858 there were disciplinary courses on ecology, the creation of the word” ecology “(from the Oicos group, which means home; and logos, study) is attributed to Ernst Haeckel in 1866. ” The habitat of living beings in ecosystem studies is identified. The existing differences between contamination and pollution of the aquatic ecosystem leads to a connection of the definition. “Ecosystem is the set formed by the physical environment i.e. the Biotype (formed by abiotypes factors – without life – such as: soil, water, air) plus the community (formed by components Biotypes) that with the medium relates”. (BRAGA, 2002, p. 05). It is perceived that living beings are inserted in nature and need the aquatic ecosystem in good conservation for the preservation of the species. Fig. 01 – Inclusion ratio between Biotype and biocenosis sets. The terrestrial ecosystem depends on the aquatic ecosystem and both have a dependency relationship as can be analyzed in the diagram above. How many ecosystems are there in the Japiim lagoon? Braga (2002) defines biocenosis as the set of populations of several species that inhabit the same region in a given period. As an example, there are the beings of one (a): Forest, River, Lake of a swamp, fields, oceans, etc. Regarding the perceptions in the Lagoa do japiim of the city of Manaus, some populations are present, being possible to visualize in the morning and night hours, among them: turtles, fish, among others, identified in the night time around 19h a Alligator (Melanosuchus Niger) and several chelonians in the developmental phase at day time around 8 a.m. In Figure 02, one of the Chelonians inserted in the lagoon is perceived. Fig. 02 – Chelonians of the Japiim Lagoon. Source: The author herself, 2018. Trophic levels are essential from the producer’s identification, as consumers depend on the aquatic ecosystem for the preservation of the species. If a specific chemical is applied in Lagoa do Japiim, will it be possible to visualize all existing beings? In the study of the trophic chain, we perceive the differences between habitat and ecological niche in the study of the aquatic ecosystem, relate between address and function of the species. Ecological equivalents (species that occupy similar niches). Does the alligator (Melanosuchus Niger) feed on the Chelonians? What is your food and utilities? The levels occupied by the alligator (Melanosuchus Niger) and Chelonians deserve analyses in the trophic chain. There is a relationship of dependence between the alligator (Melanosuchus Niger) and the Chelonians in the Lagoa do Japiim in the city of Manaus, because both depend on the food chain in this non-Formal space. From the identification of the characteristics of ecosystems such as typographic, climatic, pedallogic, botanical, zoological, hydrological and geochemical constitute for the formation of ecosystems. Homeostasis is one of the fundamental characteristics of the aquatic ecosystem. Fig. 03 – Aquatic ecosystem. Considering that there are countless, only two were selected to investigate the existing differences. The location of Lagoa do Japiim in the city of Manaus by applications provides the general view for the specific analysis of the aquatic ecosystem which is located in the South Zone of the city of Manaus, the Lagoa do Japiim has approximately a rectangular area of 100m wide by 200m in length corresponding to an area of 20000 m2. It has the location of Parque Lagoa do Japiim by GPS (Global positioning System). Lat: 3 ° 06 ‘ 35.56 ‘ ‘ S; Lng: 59 °,58 ‘ 56.04 ‘ ‘ O. Elev. 54m, point of view Altitude 1.05 km. It has a rich biodiversity, such as: Fruit plants, exotic plants, medicinal and ornamental. Fig. 04 – Pollution of the aquatic ecosystem. Oliveira Valle (2018) state that the lagoon is polluted by the eutrophication that was generated by the accumulation of macrophytes due to the exaggerated growth of algae, are toxic and harmful to human health. The aquatic ecosystem of the Japiim Lagoon awakens attention by the color of the water, some species of living beings are inserted as the Chelonians, there were several Podocnemis Unifilis (Tracajá), Alligator (Melanosuchus Niger), amphibians as Frog (Rana pipiens), Fish, etc. In certain locations the accumulation of sludge is constant as well as solid waste. 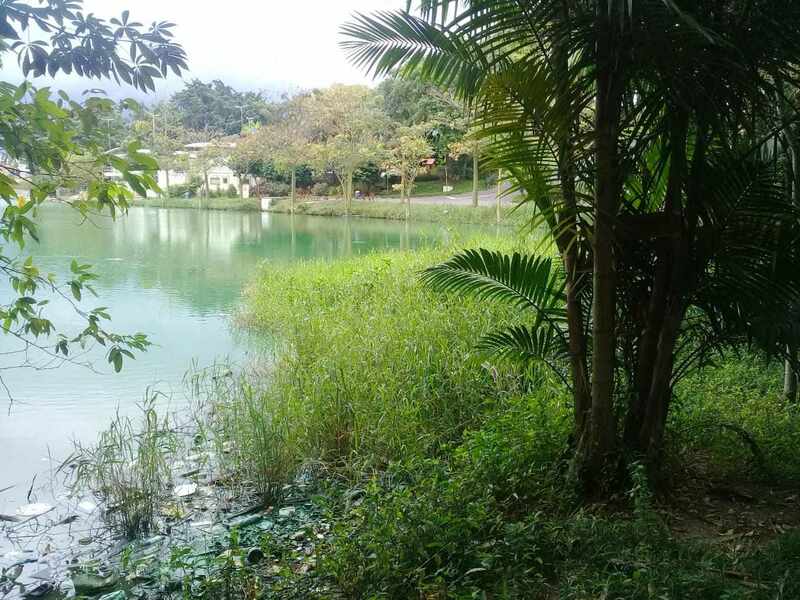 Currently there is the construction of a collecting network and sewage treatment plant in the Japiim Lagoon, whose objective is to eliminate the dumping of raw sewage generated in the park, and in its surroundings, in the Japiim lagoon, benefiting 1,300 residents and the park goers. 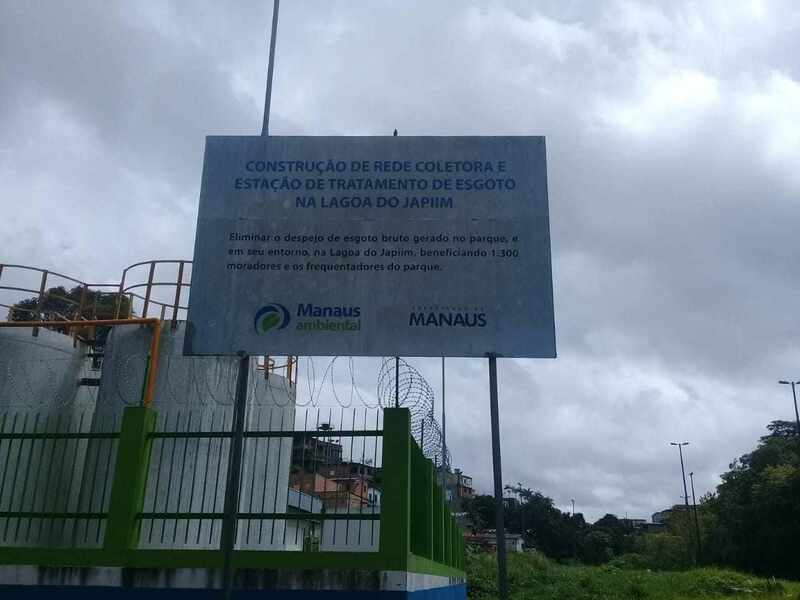 The city of Manaus, through Manaus Ambiental are doing this work slowly, since there are several solid wastes in the Lagoa do japiim, there are some parts of the lagoon that offers danger to the regulators. The lack of basic saneamente is quite visible. In the surroundings there is no protection grid for the regulators. According to Semmas, the park cost more than R $6 million. Fig. 05 – Sewage Treatment plant. At night time, the symphonic Orchestra of insects present in the Japiim Lagoon, the sound is constant. In the ecosystem of terrestrial nature, it awakens attention to know the chronological age of some trees, since some have a maximum height of approximately 20m, to have a better accuracy of the height of the arvores uses one of the instruments as per Example: Theodolite and one of the content that applies to the calculations are the trigonometric ratios with emphasis on the study of the Pythagorean theorem. The operation of the park serves several people, it is a place of preservation, people like: children, young and adults attend the park Lagoa do japiim for hiking, physical activities or outdoor walking. The land is very fertile, because of the existence of the present biodiversity. 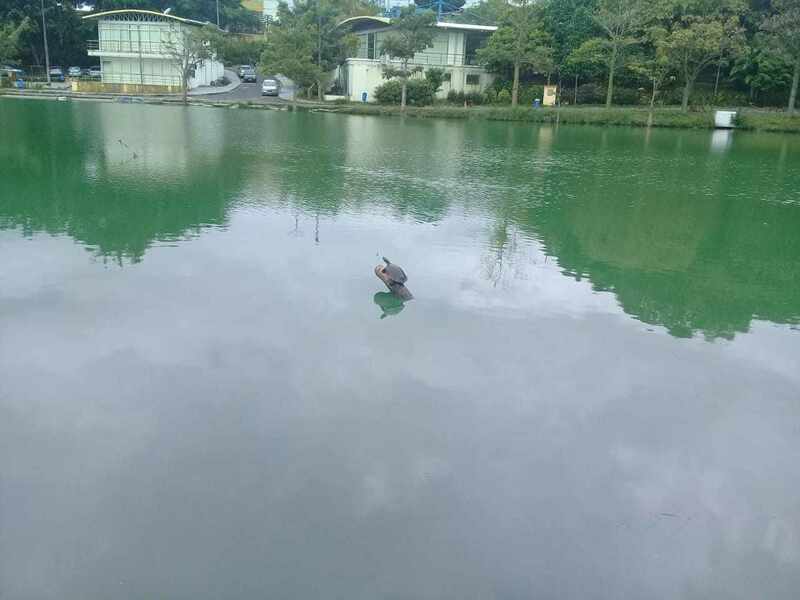 Throughout the lagoon, there are waste bins for the deposit of solid wastes. Fig. 06 – Terrestrial ecosystem of the lagoon. It is necessary to differentiate the energy sources and ecological niche food (function of the species within the ecosystem) as well as the growth rate, metabolism and its effects beyond the ecological equivalents (species that occupy niches Different regions). The differences between habitat and ecological niche are numerous. They are essential elements for the study of the cycles of vital elements, which can be schematized for the analysis of the water cycle in order to differentiate the nutrient definition. According to Braga (2002), macronutrients (> 0.2%) of dry organic weight (P.O. s) and Micronutrients (< 0,2%) participam em quantidades inferiores do p.o.s. 0,2%)=”” participam=”” em=”” quantidades=”” inferiores=”” do=””></ 0,2%) participam em quantidades inferiores do p.o.s.> of the living being. The sun is the source of energy for the producer that interferes with consumers. In fact, the analysis of the chemical elements with an emphasis on understanding the biogeochemical cycles leads to an understanding of the carbon in the atmosphere cycle. A chemical reaction to be applied to the aquatic ecosystem contributes to the analysis of the nitrogen cycle. It is perceived that the water cycle, has been studying for centuries by several areas of knowledge. For Odum (2008) It is essential to continue with the researches related to the biogeochemical cycles, since they offer many information for the formation of scientific knowledge. The Experimental method is indispensable in a scientific research for scientific evidence concerning pollution and water contamination. How did life originate? Is the man synonymous with Earth? What is the relation of neutrinos in the study of astrophysics? How does the exchange of matter and energy occur? What are the main human actions for air pollution, soil degradation and water contamination? The cycle of life relates to the water cycle, in some ways the theory of evolution contributes to the understanding of the mutations that living beings suffered after they emerged from the water. The adaptation to the environment occurred slowly through the trophic chain of the living beings of the ecosystem. Organic matter depends on the existing perception between aerobic and anaerobic. Epistemological discussions on BOD (biochemical oxygen demand) are proposed. The sun is the indispensable source of energy for human life, the composition of the soil of the Lagoa do japiim for the preservation of Biodiversity, awakens the attention by the options of studies of various themes. 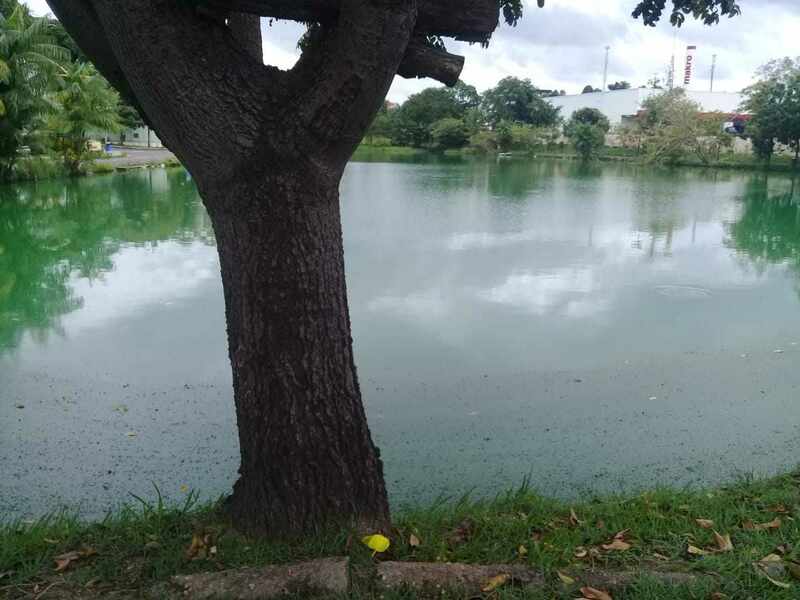 In relation to the formation of educators for the improvement of scientific knowledge, the object of research is: is the water of the Lagoa do japiim polluted or contaminated? This question can be clarified scientifically if there is water analysis in the spectrophotometer. Braga (2002), emphasizes that in this way, the hydrological cycle (or water) and the sedimentary and gaseous cycles of the chemical elements are identified. To prove the analysis of biogeochemical Cycles, Braga (2002) emphasizes the cycles of vital elements (macro and micronutrients) and another refers to the cycle of a vital compound: water. Regarding the study of the biodiversity in the Lagoa do Japiim in the city of Manaus in the state of Amazonas, some solid residues identified in the Japiim lagoon, for example: plastic, aluminum, paper and petbottles as can be analyzed in Fig. 07 below. Fig. 07 – Solid residues identified in Lagoa do japiim. In the vicinity of Lagoa there are the dumpbins for the deposit of solid waste. The local community that uses this space should contribute to educate and discipline the park’s regulators through environmental education, as well as administrators should be concerned with the safety of the regulators. Oliveira Valle (2018) Emphasize that the decrease of dissolved oxygen in water and high concentrations of ammonia under eutrophic conditions cause the death of some fish as observed in loco, besides the odor[…]. 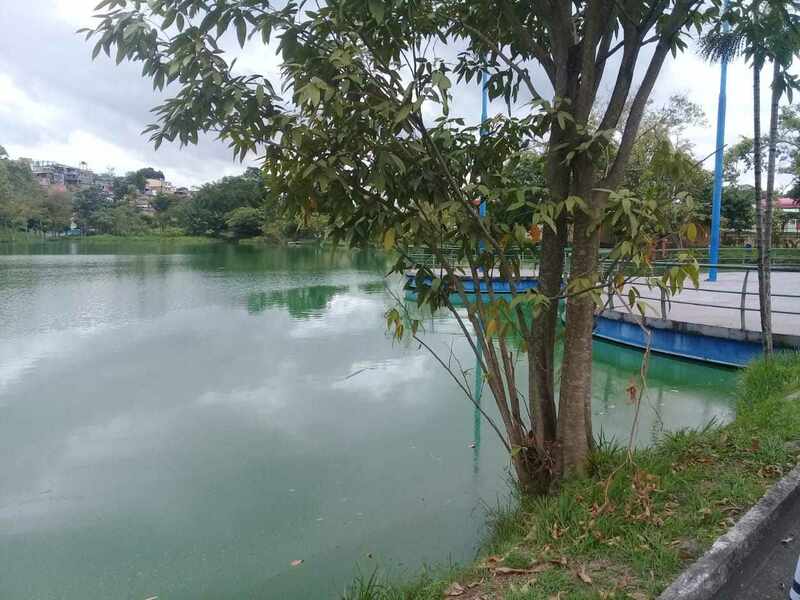 The Experimental and analytical method was applied, which were indispensable for the analysis of the water quality of Lagoa do Japiim in the city of Manaus by means of a sample. The authorization was requested from the Coordinator to enter one of the sanitation laboratories of the UFAM for analysis of some water parameters such as: PH (Hydrogenionic potential) for the scientific evidence of acidity, neutrality and alkalinity, in addition of turbidity, conductivity. We used some material resources such as: Phmetro, Turbidimeter, conductivimeter, cellular camera for the recording of images of the aquatic and terrestrial ecosystem, living beings, human beings, events and biodiversity present in the Parque Lagoa do Japiim. The axiomatic method was also applied for the restriction of the theme. A sample of the Japiim lagoon was withdrawn in 26/06/2018 for laboratory analysis. The first sample was analyzed in 06/07/2018 and the second sample was collected in 09/07/2018 and analyzed in less than 24h. In the Japiim Lagoon in the city of Manaus, it was possible to analyze the PH (hydrogeonionic potential) of water for scientific evidence. You have the data records of the field analyses. In the first analysis of the sample, collected on June 26, 2018 and analyzed only on July 06, 2018, the Ph: + 6.09 or approximately ph: 6.1 was obtained. The temperature was 26.6 °c. In the second sample collected on July 09 and analyzed on the same day. Ph: + 7.18 or approximately ph: 7.2. The temperature was 30 ° C it is observed that PH in the first sample was acid while in the second was neutral. The PH is classified as acid according to the scale, when it varies from 1 to 6.6; Neutral: PH = 7; and alkaline, PH: 7.6 to 14. Regarding the conductivity analysis, the temperature: + 26.6 ° C and conductivity: + 287.7 μs/cm (microsiemens per centimeter). In the second sample was conductivity: + 176.8 μs/cm; Temperature: 29.1 °c. The conductivity analysis is a procedure for measuring ionic concentrations, used to analyze water quality. According to Nogueira; Costa Pereira (2015, p. 14), “The chemical parameters involve the hydrogenionic potential (PH), acidity, dissolved oxygen, phosphorus, chlorides, among others.” The conductivity meter determines the electrical potential of a sample and the limits established by the Conama resolution (National Environmental Council) 357/05. The water turbidity was also analyzed in the first sample: 230 UNT (nephelometric turbidity units) analyzed after 10 days of collection. In the second sample, Turbidez: 203.3 UNT analyzed in less than 24h. The determination of turbidity by the Nephelometric method is adopted in the control activities of water pollution and verification of the physical parameter in the waters considered potables. It is perceived that the living beings of the Japiim Lagoon are living within the standards of normality. According to the analysis of some water parameters such as: PH (Hydrogenionic potential). The water acidity of the Japiim Lagoon was verified, Ph: + 6.1 in the first sample while in the second sample the Ph: 7.2 was neutral. Conductivity in the 1st sample: + 287.7 μs/cm. In the second sample, conductivity: + 176.8 μs/cm (Microsiemens per centimeter) was directed towards water quality. In addition to the turbidity of water: 203 UNT (nephelometric units of turbidity) in the first sample. In the second sample: 2033 UNT analyzed in less than 24h. It is directly related to quality as fresh and potable water. (SILVA, 2007). The Chinese conception was based on five elements (Wu Hsing): Metal, Wood, earth, water and fire. The combination of these five elements would generate, all the known matter. In the combination, transformation of matter, two principles, the great Contraries Yin and yang, should be considered. (FARIAS, 2010, p. 89). Western Alchemy contributes to the study of the matter and ecosystems of the Japiim Lagoon in the city of Manaus. For the advancement of Science, the various areas of knowledge are inserted to improve an ecological intelligence for the preservation of endangered species. There is an analogy between the cellular cytoplasm of living beings with the human body. Braga (2002) considers freshwater that whose concentration of mineral salts is around 0.5 g/L, mainly chlorides and sulfates. Salinity is an important conditioner of aquatic species, since they are rare species that survive in freshwater and salt water. The discipline urban environmental policy of the Postgraduate Program Society and Culture in Amazonia (PPGSCA) at UFAM contributes to the continuing formation of the Amazonian challenges. The Amazonian biodiversity is of national and international interest, thus the preservation of the agatic and terrestrial ecosystems deserve discussions through the dialectic with the various professionals of education of different areas of knowledge. Considering that the PH can be measured directly or indirectly, the analytical method is indispensable to analyze the ionic balance of water. The electrode was placed in contact with the sample and the viewfinder did direct reading of the ph as the result obtained in the first sample was also analyzed in the ph scale and was below 7, is considered acid for human consumption. Therefore, flying over the world in 3d leads to a reflexive conscience about the understanding of nature to conclude that the human being originated from the clay, the aquatic ecosystem, mutated and adapted to the terrestrial ecosystem. It is perceived that the ideal water for human consumption is the alkaline water that varies with the pH of 8.5 to 10. The mathematical modeling with the inclusion of several sciences, observations and contact with nature beyond the water analysis of the lagoon of Japiim through a sample contributed to the construction of this theory. Public policies will be developed for the preservation of the Amazon, biodiversity and the valorization of the educator, whether it is the capital or the interior. The Japiim Lagoon is a large non-Formal laboratory and technological resources provide the enhancement of cognitive skills. There is a brief report of experience in pedagogical practice in 2017, presented to the students the Lupa in one of the schools of SEDUC (Secretariat of State of education and quality of teaching), aiming to awaken the interest in science from the school environment. Several themes were investigated with the usefulness of the magnifying glass, one of the experiences that aroused the attention of the students was to burn leaves of trees without the use of other objects. The fire arose for a few minutes from the moment the students began to handle the object at very high temperatures, from 13h onwards. It is through education that will raise awareness of the preservation of the environment, hence the importance of the public servant continue with the continuing education according to the instructions of the Law No. 9.394/96 guidelines and Bases of National Education (LDB) for education professionals in “ART. 66. The preparation for the exercise of the superior Magisterium will be at the postgraduate level, primarily at the master’s and doctorate level. ” On March 16, 2018, some information from the BNCC (Common National Curriculum Base) was discussed in the school, which is theoretically based on the Federal Constitution, national Curriculum guidelines and National Education plan. It was investigated that the MEC (Ministry of Education) encourages continued training. The general competences proposed by BNCC need revaluation to be improved by the reflective teacher and the researcher teacher. In the 21st century the digital culture needs improvement from the use of the science and Informatics laboratories. For several days, we analyzed the paralization of Seduc (secretory of State of education and quality of teaching) and semed (Municipal secretariat of Education) through the teachers ‘ claims, there are some problems for the reflections: the Overcrowding in School classroom, lack of security for all employees, lack of compliance for salary adjustments for teachers, lack of respect for freedom of expression, among others. It is necessary to combat physical and verbal violence in schools due to lack of: human resources, courses to empower educators to work with special education, valuing public servants through progressions: Horizontal, Vertical and Diagonal. The invasion of traffickers in public schools in the city of Manaus can be fought if there is interaction with the military police. According to the Law 11.738/2008, “the National floor of the Magisterium should be readjusted every beginning of January each year”. How many millions of fundeb (Fund for maintenance and development of basic education and appreciation of education professionals) are destined for education? “From Fundeb’s resources, 60% can be used to value the salaries of the Magisterium professionals. If the academic production is directed to the honourable Governor of the State of Amazonas to perform the fulfillment of the Federal Law 11.738/2008, which establishes the national floor of the Magisterium, then there is the probability of analysis of claims after Identify the large number of educators who intend to pursue the studies at UFAM. There is a need to value more national and international researchers for the preservation of ecosystems in Manaus, the state of Amazonas and the Amazon. After these recommendations, Lévy (1998) contributes to the improvement of the collective intelligence, NÓVOA (2009) analyzes the future of Brazilian education based on the reflections for the problems diagnosed in Brazilian society. According to Nóvoa (2009, p. 20), “The more we talk about the autonomy of teachers, the more their action arises controlled by various instances, leading to a decrease in their margins of freedom and independence.” The autonomy to apply by means of didactic strategies is very limited in function of the collection to the fulfillment of the Curricular proposal. The education of the educator to meet the challenges in Brazilian education is analyzed by Tardif (2002, p. 86), since “the awareness of the different elements that support the profession and the integration in the work situation lead to the gradual construction of A professional identity. ” By restricting to the Amazonian challenges, the education of the educator is indispensable to face the complexities in the school process. Thus, discussing the collective intelligence through the perception of Lévy (1998) is essential to differentiate the definition of cyberspace and cyberculture. Ethics in capitalist society leads to knowledge between man and new technologies. The global networks from the anthropological perspectives, the analysis of everyday school and intercultural practices were instructed by Candau (2016) with emphasis on action research, which has been more used and is exactly when the focus is the practices Education and especially in the classroom, while Diniz-Pereira (2015, p. 141) directs teacher education to social construction, to unders[…]tand the “structure and culture of schools, teacher training, professional career, as well Relationships between teachers and other people in schools. […] ” It is essential to investigate the historical context of reforms for education with the inclusion of epistemological discussions for Micropolitics and Macropolitics. (FREITAS, 2016) differentiates that it is not in the macropolitics, in the elaboration of the global educational policy for a whole network or a nation that resides the challenge in particular in the salary and teacher training issues. Every education professional needs to acquire knowledge of the federative constitution of Brazil for the claims of acquired rights. 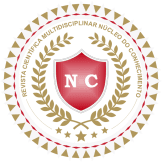 § 2 the Union states and the Federal District will maintain schools of government for the training and improvement of public servants, constituting the participation in the courses one of the requirements for the promotion in the career, provided, for this, the celebration of Agreements or contracts between the federated entities. (BRASIL, 2016, p. 40). Regarding the presentation of this theme, some arguments were restricted according to the observations of aquatic and terrestrial ecosystems in Lagoa do japiim. The photos recorded in the sample of this research, belong to the author of this article, being authorized for academic publications. ANDRADE, J.B.L. 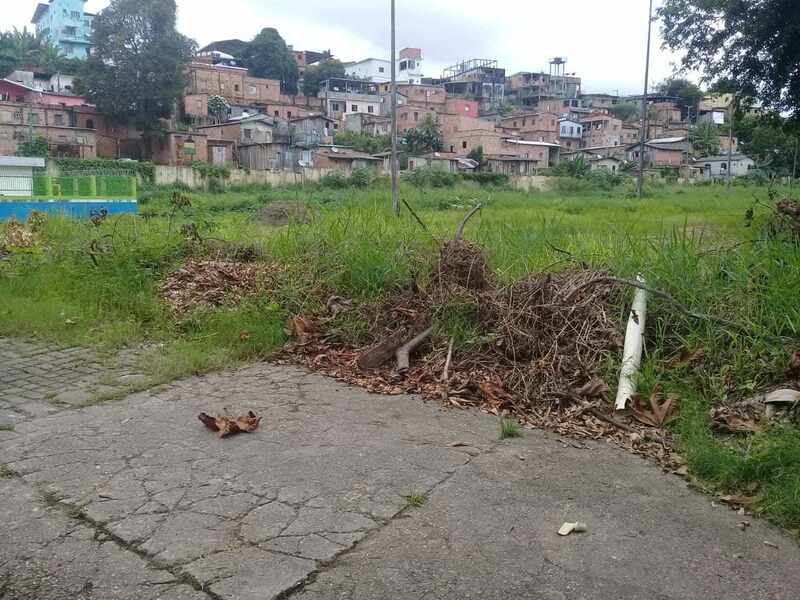 Sustainability indicators applicable to management and public policy for industrial solid waste: A contribution with a focus on the industrial Polo of Manaus. Manaus, Edua 2014. AB ‘ SABER, A. Ecosystem of Brazil. São Paulo: Metalivros, 2008. BRAGA, B..[et al]. Introduction to Environmental engineering. Sao Paulo: Prentice Hall, 2002. BRANCO, S. M. Water: Origin, use and preservation. 2. Ed. São Paulo: Modern, 2003. Brazil. [Constituição (1998)]. Constitution of the Federative Republic of Brazil: Constitutional text promulgated on October 5, 1998, with amendments determined by the constitutional amendments of Revision Nos 1 to 6/94, by the constitutional amendments in the 1/92 to 91/2016 and by the decree Legislative No. 186/2008. – Brasilia: Federal Senate, coordination of technical editions, 2016. Candau, V.M.F. Everyday School and intercultural practices. Research notebooks, v. 46, n. 161, p. 802-820, Jul./set., 2016. Available from: http://www.scielo.br access on 04 Jun. 2018. DINIZ-PEREIRA, J. E. The social construction of individualism in the teaching profession: How to transcede the traditional boundaries of the identities of teachers? Revista Educação PUC-Campinas, 20 (2): 127-142, May/Aug., 2015. FARIAS, R. F. History of Alchemy. 2. Ed. Campinas, SP: Editora Atom, 2010. FREITAS, L.C. Three theses on business reforms to education: losing ingenuity. CAD. cedes, Campinas, v. 36, n. 99, p. 137 – 153, May/Aug., 2016. Available at: http://www.scielo.br. Accessed on 04 Jun. 2018. GRIMES, C.; SCHROEDER, E. The origin of life from the perspective of undergraduate students of a biological sciences course. Electronic Journal of Enseñanza de las Ciências. Vol. 12, No. 1, p. 126-143, 2013. Available at: http://www.reec.uvigo.es. Access on 11 Jul. 2018. Lévy, P. The technologies of intelligence: the future of thought in the computer age. Translation, Costa, C. I., 1998. NÓVOA, A. Teachers: Images of the present future. Lisbon: Educa, 2009. Available at: https://rosaurasoligo.files.wordpress.com. Accessed on 03 Jun. 2018. Odum, E.P. Fundamentals of Ecology. São Paulo: Cengage Learning, 2008. OLIVEIRA, R.S. ; VALLE, C.M. impacts of eutrophication on an urban lagoon in Manus/AM. Available at: http://www.congressos.ifal.edu.br. Access on 10 Jul. 2018. TARDIF, m. Knowledge teachers and vocational training. Petrópolis, RJ: Editora,2002 voices. Available at: https://edisciplinas.usp.br. Accessed on 03 Jun. 2018. Special student of the Graduate program in society and Culture in Amazonia – (Ppgsca)-Ufam. Prof. Dr. Of the discipline urban environmental policy-UFAM.